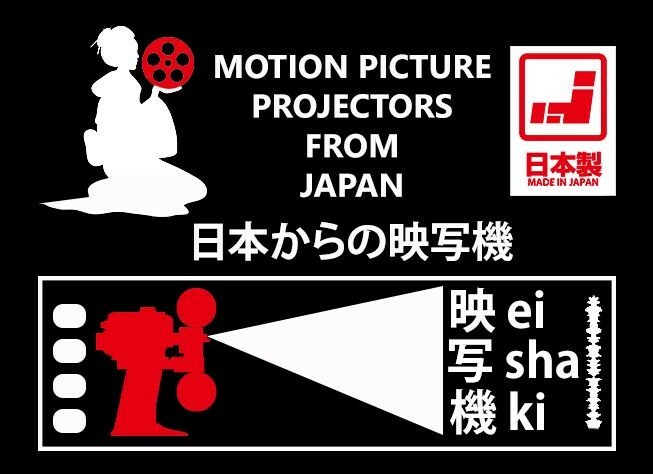 This blog is intended for sharing information about the Japanese-made sound projectors especially made for 16mm, 16/35mm (universal), 35mm and 35/70mm (universal). Please post whatever available, e.g. information, announcements, news, pictures, documents such as brochures, catalogs, manuals and links. Please do not post anything about digital. I have visited Japan in 2012 again (this time Tokyo only). I should express my sincere thanks to Mr. Toru Ikegami (President, TOKIWA), Mr. Motoharu Katoh (Service Technician, DRC, EGR member), Mr. Yosuke Nagayoshi (Projectionist, Projector Mania), Mr. Yoshito Ishii (Manager, Cinematographer, Inc.), Mr. Yuuki Yatomo (Licensed Electrician), Mrs. Chieko Miyakawa (Sales Group, Cinema Industry Div., VICTOR ARCS), Mr. Michio Miyajima (General Manager, Cinema Industry Div., VICTOR ARCS), Mrs. Mami Kanda (Projectionist and staff member at Cine Café Soto), Mr. Ryo Ishikawa, Mr. T. H. Yu (Elephant Holdings Limited of HK), Mr. Lasse Ulander (Sound Engineer, Creator of Film Sound Sweden) and Mr. Jason Smith (English Teacher) for their invaluable help in providing information, documents and photos. I also thank to Ms. Tomoko Matsuoka (nac), Ms. Mariko Goda (NFC), Ms. Anna Satou (NFC), Mr. Shuta Atsumi, Mr. Hiroshi Kato (VICTOR ARCS) and Mr. Takahiro Nakano for their invaluable Japanese language help.